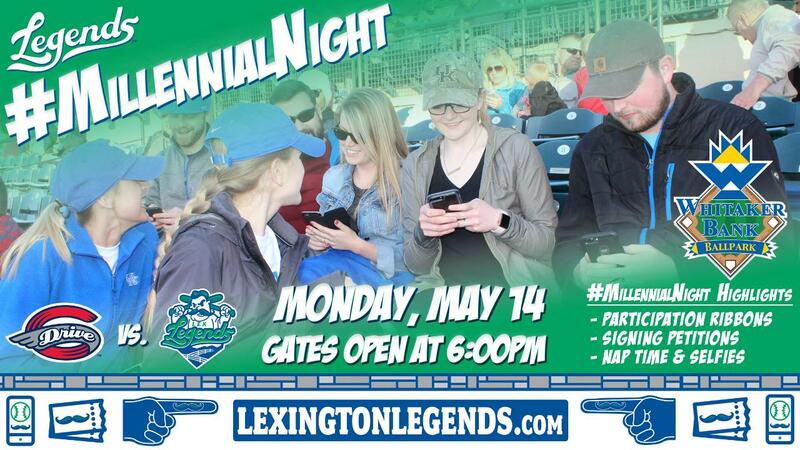 WHITAKER BANK BALLPARK (Lexington, KY) - On Monday, May 14, the Lexington Legends will host #MillennialNight paying homage to a generation that has already helped to shape the world in so many ways. Instead of Occupying Wall Street, Millennials are invited to Occupy Whitaker Bank Ballpark. Upon entering the gates, fans can expect to receive a participation ribbon for showing up. We know it's a big feat to leave the safe confines of your home with Netflix beaconing you to stay on the couch, so the Legends are ready to congratulate fans on their accomplishment, even if they are still in sweatpants. Whew. Sorry, we had to take a nap. The Legends know that fans might need one too, so between certain innings, there will be group naptime…blankets are not provided. Fans are encouraged to bring their own coloring books and colored pencils in case the game is too stressful and they need to find an escape. Millennials have made the #selfie the masterpiece it is today, so there will be ample opportunities for fans to add to their collection of photos, whether they are doing it for the 'Gram, Twitter or Tinder. Whitaker Bank Ballpark is always a #JudgeFreeZone. "The Legends are excited to bring this new night to Whitaker Bank Ballpark. We're always trying to find new ways to recognize and celebrate different groups, and in this case, generations. It should be a great night filled with Millennial "themes" and fun!" said Legends President/CEO, Andy Shea. Though Millennials are all about ride sharing, it is also a Free Parking Monday presented by Members Heritage Credit Union. 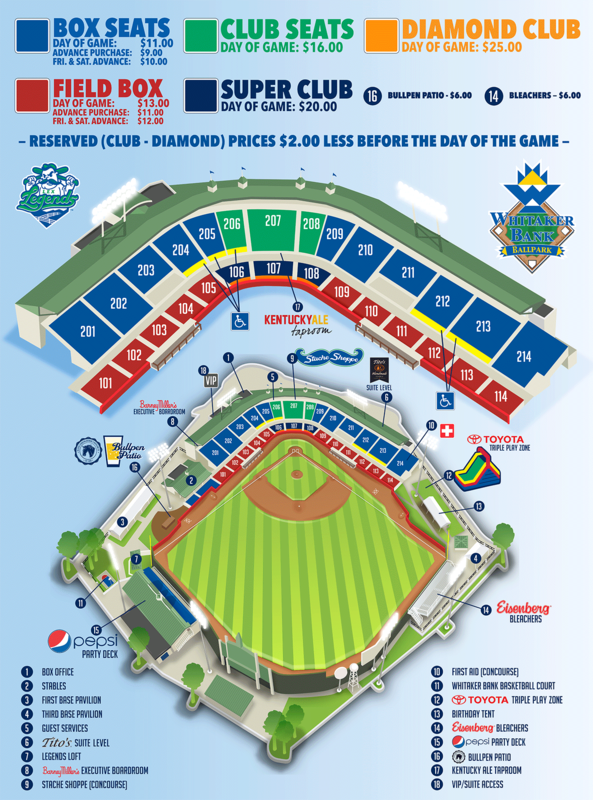 The Legends, a Class A affiliate of the Kansas City Royals and member of the South Atlantic League, play all home at Whitaker Bank Ballpark in Lexington, Kentucky. For ticket information, call 859-422-7867.